I have a bit of an obsession with priest holes, originating with childhood visits to Chenies Manor in Buckinghamshire (resulting in several stories about the place, written before I was ten, and inspiring me to read Alison Uttley’s A Traveller In Time, a wonderful book for children). So I was very excited to visit Harvington Hall, which apparently has more priest holes than anywhere else, and is not far from where I live. It’s a beautiful Elizabethan moated manor house, with some Georgian additions (and it serves amazing cake in its tea-shop). 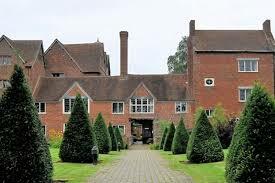 Harvington is one of several Worcestershire and Warwickshire houses to have hidden Catholic priests at a time when to be a Catholic was extremely dangerous in England; others include Baddesley Clinton and Coughton Court. (Note: it’s extremely difficult to explain to a three-year-old why priests had to hide!) These days, Harvington is a beautiful, peaceful place, but the restored house, now owned by the Archdiocese of Birmingham, is well set up to explain its turbulent history. The rooms are full of r eminders of the terrors of the late sixteenth and early seventeenth century when Catholicism was seen as a threat to the throne and to national security. Life-size figures hide in priest holes, or sit alone in the corner of a dark room writing (and making me jump!) A recording in one room brings to life the reality of night-time raids on the houses of suspected Catholics, where capture would mean torture and death. 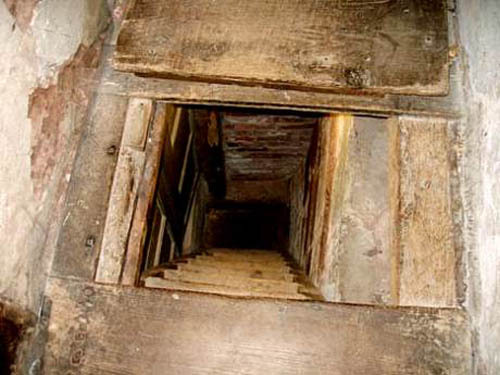 The priest holes are ingenious, often tiny and certainly uncomfortable to those who might have had to occupy them for days at a time; several were designed by Nicholas Owen, ‘the master-builder of hides’, and one uses a similar approach to that of the Colditz escapees. 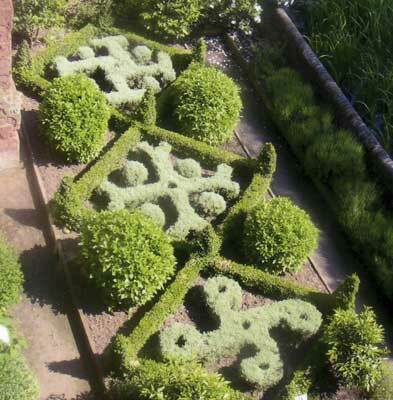 However, the house is also set up as a working Elizabethan home, with kitchens, dining tables, a malt house and a beautiful knot garden, as well as the site of an Elizabethan bowling lawn. There are also some remarkable wall-paintings, which have been closely analysed, including the ‘Nine Worthies’, and, in a chapel, drops of water and blood representing the Passion. There are two chapels contained in the house, and one, a Georgian addition, in the grounds, which used to be a school-house. In fact the buildings were used as a school for wartime evacuees, but prior to this the house was neglected and in a dangerous state of disrepair, stripped of much of its decoration which was installed in other houses (including Coughton Court). The focus isn’t only on its past as a haven for priests, then, but this is certainly the driving narrative of the building now. Small children love secret passages and tiny hideaways, but it’s also a reminder of how shockingly and fatally divisive religious difference can be, something which was brought home to me when I was trying to explain to my son why it was once dangerous to be Catholic. Yet in the continuing history of the house, its domesticity and restoration, it also indicates how times move on and, perhaps, without such poignant reminders, we might forget such things. Sometimes old buildings are themselves a memorial to the past.